Commercial Truck Insurance New Mexico — Quotes & Coverage 7 Days Per Week! Great options for Commercial Truck Insurance in New Mexico are one call or click away, seven days per week! Are you a brand-new business? Did you get canceled by your current company? Huge rate increase without claims or tickets? Trying to keep your current agent honest to make sure you’re still getting the best deal? If any of the above questions are true in your case we can help you seven days per week to find the New Mexico Commercial Truck Insurance you need to keep you in business. Call up until 5 PM Central Standard Time to speak with our licensed agents by dialing 1-800-998-0662 Monday through Friday. Online agents are normally available seven days per week up until 7 PM CST when you use our online chat system. Commercial Truck Insurance New Mexico — More Options With Pathway. Pathway knows Commercial Truck Insurance and we offer services many of our competitors do not, for instance if you have Commercial Truck Insurance in New Mexico right now can you reach your agent on a Saturday or Sunday afternoon if you have a question? You can with our company, and for this reason alone you should seriously consider switching your insurance to Pathway even if it’s the same price. Another reason you should switch your insurance right now is because we offer more options for New Mexico Truck Insurance compared to the average agent. Most insurance agents are generalist, not specialist. If you have heart disease would you allow your foot doctor perform a heart transplant? That would probably not be a good idea. The same is true when you purchase New Mexico Commercial Truck Insurance from an agency that sells every conceivable type of insurance. Pathway specializes in Commercial Truck Insurance and we have the relationships with the carriers you need to keep you on the road. There is one additional reason why you should choose us. We like to use an educational approach to insurance. While it is true it is up to you as the owner of the company to understand what your policy covers and what it doesn’t cover, you won’t find many agents taking time to explain some of these details. You will find our websites have a number of helpful tips and strategies and educational information to help you understand your insurance protection better. Of course we always recommend that every client read their insurance policy, and if there are questions that are not readily understandable it is best to call us for an interpretation if you are insured with our company. We also like to use claim scenarios to help potential customers and existing customers see how claims may or may not be paid based on different circumstances. 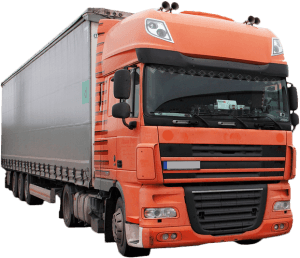 Commercial Truck Insurance New Mexico — Things You Should Know. It’s easy to make a mistake on your business insurance and that’s why it’s imperative for you as a customer to be as knowledgeable as you possibly can about your insurance options. For instance if you’re looking for Tow Truck Insurance in New Mexico what are some important coverage features you probably should not be without? On Hook Insurance New Mexico – Protects vehicles in your care while being transported. For example you are towing a 2013 Honda CRV to an auto repair facility as it had broken down. As you are making your way to the repair facility the brakes on your tow truck fail causing you to crash your vehicle and the customers Honda CRV is destroyed because of the accident. The damages amount to $19,708 and because you have chosen a $50,000 limit for your On Hook Insurance New Mexico the claim is paid in full of think you are your deductible. What if you are hauling vehicles and not towing them in a traditional wrecker? Cargo coverage may be more appropriate for vehicles being transported. Owner Operator Insurance New Mexico – If you are an owner operator and operating under a motor carriers authority and their primary liability insurance, you probably need New Mexico Bobtail Insurance or Non Trucking Liability Insurance New Mexico to protect your truck while not under your motor carriers authority. Please note that New Mexico Bobtail Insurance and Non Trucking Liability Insurance in New Mexico are two separate types of coverage, they are not identical. If you need Owner Operator Insurance in New Mexico make sure to call our office to speak with one of our courteous and professional agents. We represent the companies that you need to keep you on the road and working. Commercial Truck Insurance New Mexico — 800-998-0662 Is the Only Number You Need! No matter if you need New Mexico Tow Truck Insurance, Owner Operator Insurance New Mexico, Bobtail Insurance New Mexico, New Mexico Dump Truck Insurance, Hotshot Insurance in New Mexico, New Mexico Moving Truck Insurance, Non medical Emergency Transportation Insurance New Mexico, or Courier Insurance in New Mexico we are the agency to call! 1-800-998-0662 is a number you can reach licensed agents five days per week up until 5 PM CST, but if you find our website after these hours, online licensed agent are available up until 7 PM CST seven days a week!